The fenestration industry is highly competitive. When you want your installation business to be successful, it’s important to use the best products. If you’re a window installer who regularly works on period properties or in conservation areas you need a sash window that matches the areas where you work. When your customers ask you about a uPVC replacement for their original timber windows, what will you offer them? When you add Roseview uPVC sash windows to your product portfolio, you unlock a wealth of benefits for your company. First and foremost, the Rose Collection suite of uPVC sash windows are the industry’s leading sash window replacement product. The three windows in the collection, the Ultimate Rose, Heritage Rose, and Charisma Rose are designed to maximise authenticity while providing extremely high levels of performance. 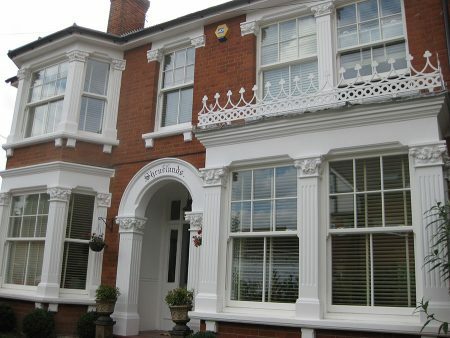 Rose Collection sash windows have a wealth of period features. From run-through sash horns and astragal bars to your choice of traditional window furniture, they are the perfect replacement for any window replacement project. In terms of performance, they meet all the required standards that a 21st century homeowner expects. They are A rated for energy efficiency and can be upgraded to achieve Secured by Design status for safety and security. When you work with Roseview Windows, it’s not only high quality award-winning windows that you’re buying. We offer a comprehensive service to all our trade partners to help them achieve their true potential. We offer a complete marketing service including access to our showroom to help you to sell projects. We offer incredibly competitive prices to help you to boost your profit margin and can offer a 24 hour turnaround on all quotations. The whole Roseview process is designed to be as simple as possible. We have dedicated ordering forms that make ordering the windows and options you require simple. We offer full after sales support and technical advice, and where required, we can provide on-site training to ensure that you are 100% confident in product installation. As you can see, working with Roseview is a great choice. If you’re a window installer and you’d like to find out more about Roseview Windows and our Rose Collection uPVC sash windows, contact us today. Give us a call on 01234 712 657 or send us a message online.